The Live Below the Line challenge drives participants to various degrees of insanity. Or maybe it’s just me? 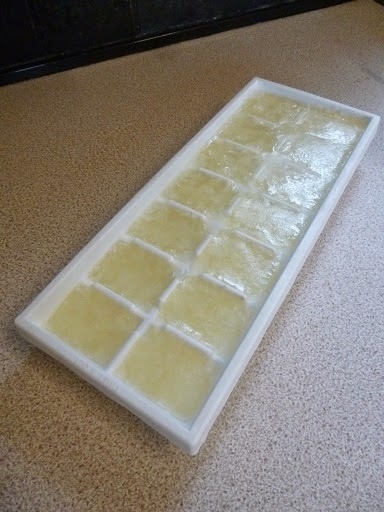 Pre-LBTL, I never expected to end up separating a bag of frozen veg, pouring milk into an ice cube tray, or wrestling yogurt with a muslin square. But yet again I’ve risked frost-bitten fingers tips so I can eat green beans, sweetcorn, carrots and peas separately, rather than facing the same mix every time. Bonus points to Aldi for including an extra 30g of veg in the kilo bag. 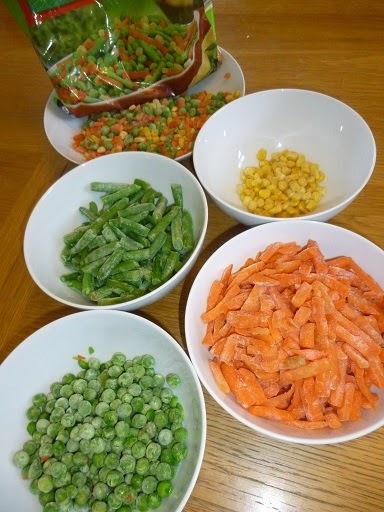 Mixed veg. Better hope I like frozen carrots as there are certainly enough of them. My tray of milk cubes was due to the lucky break of finding a pint of skimmed milk in the reduced section the day before starting the challenge. This meant milk for my porridge only cost 25p, rather than the 45p I’d budgeted. Rather than face sour milk by the fifth day, I decided to freeze the milk, so I could pop out a few cubes each evening to make porridge the following day. The 20p saved on milk also enabled me to switch the budget around, ditch some value baked beans, and buy a tub of natural yogurt for 45p instead. 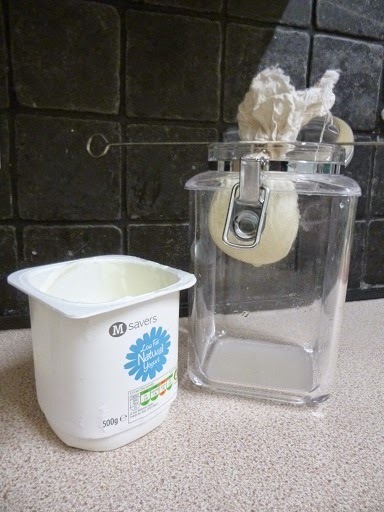 Thanks to the recipe from Ceri at Natural Kitchen Adventures, I had a go at making cream cheese with part of the yogurt. I added salt and pepper to 200g of the yogurt, twisted it up in the middle of a muslin square, used a rubber band to secure the top, and stuck a skewer through the elastic band so the yogurt could be suspended within a jar. If you leave it in the fridge overnight, the whey drips out of the bottom leaving 75g or so of surprisingly nice cream cheese behind. Make sure you soak your porridge overnight in the fridge, you can get away with less milk that way, the oats socking in the water go naturally creamier tasting. It's good to do this once a year, I think it makes us all take stock of our food habits.